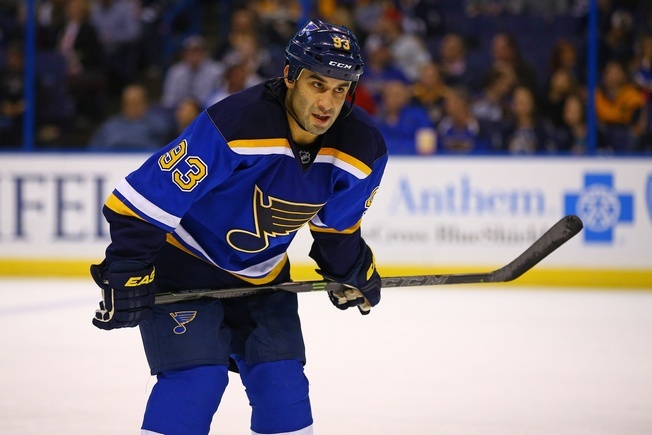 According to reports emerging late Wednesday, Scott Gomez is calling it a career. The 36-year-old announced his retirement to Doyle Woody of the Alaska Dispatch News and put the wrap on a career that spanned 16 National Hockey League seasons. The Anchorage native played just 33 games last season for the St. Louis Blues and Ottawa Senators, with just a goal and eight assists to show for himself. Gomez was drafted by the New Jersey Devils in the 1998 NHL Entry Draft, going 27th overall. He spent seven seasons with New Jersey and won the Calder Memorial Trophy as the league’s top rookie in 2000. He helped the Devils to Stanley Cup wins in 2000 and 2003. Gomez also played for the United States at the 2004 World Cup of Hockey and at the 2006 Winter Olympics. After ending his tenure with New Jersey, Gomez signed a seven-year deal with the New York Rangers in July of 2007. By June of 2009, he was traded to the Montreal Canadiens. His time with the Habs was spotty and he was an unpopular player. He struggled with consistency and went on a scoreless drought of 60 games between February of 2011 and February of 2012. Gomez returned to Alaska and the ECHL during the NHL lockout in 2012-2013 and his contract became problematic for the Habs thanks to fixtures in the new collective bargaining agreement. Soon, terms in the CBA were revised and Gomez was put on waivers by Montreal. He became a free agent in January of 2013 and signed a deal with the San Jose Sharks a few days later. He spent 39 games in San Jose before signing with the Florida Panthers. Ahead of the 2014-2015 season, Gomez had a tryout with the Devils and was subsequently signed to a one-year deal. He played his 1,000th NHL game in December of 2014 and seemed to pick up the offensive pace, playing some of his best hockey in several years and finishing third on the team in points. Gomez wasn’t renewed by the Devils, however, and moved on to the St. Louis Blues on a tryout basis at training camp in 2015-2016. He inked a one-year two-way contract with St. Louis and became a power play fixture before they placed him on waivers in December of 2015. He cleared and asked for a release. After a brief stint with the Hershey Bears, Gomez found himself in Ottawa with the Senators. He played in just 13 games. As you can see, Gomez’s character was a spotty one. He enjoyed his best season in 2005-2006, when he produced 33 goals for the Devils and added 51 assists. But for Alaskans, Gomez was more than numbers. As Woody’s piece notes, he had a hell of a run. He hopes he represented his state well. And for an Anchorage kid done good in the big leagues, one has to imagine he did.